Each study group meeting at the Center is live streamed and recorded. 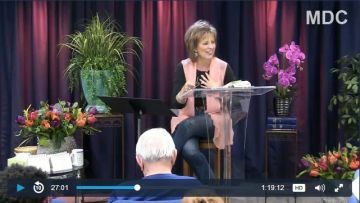 In this intimate setting we tackle real-life challenges and view them through the healing power of A Course in Miracles. Weekly, a workbook lesson and a section from the text are read and explained for their theory as well as their practical application into our daily lives. Beverly Hutchinson, the group's facilitator and student of the Course since 1977, has a knack for bringing the Course's principles to life! -- Become part of a worldwide family of Course students! -- Each week's meeting is $5.00, billed monthly. You will be able to watch live or view a replay after the meeting. You will also receive an email notification that an mp3 audio file is ready to download. Your first charge will be $20.00 (for the first month.) Future billings will be once a month at the beginning of the month. Please note that while most months contain four Wednesdays, occasionally a month will contain five Wednesdays, hence the charge for that month will be slightly higher. You may cancel at any time. -- As a regular subscriber, you can watch archived video meetings on demand and submit questions and comments during the live meetings. Also, you will gain access to special web pages designed for listeners only. You will be able to correspond with other listeners who continue the week's discussion via our online message board. So many friends have enjoyed this form of study and joining -- we hope you will join us!